2009 was a good year for astronomy stamps. Astronomy stamps as well as space stamps are fascinating like the subject. With so many different astronomy stamps to buy for your stamp collection, it is important to buy wisely. The year 2009 was an outstanding year for astronomy stamps. 2009 was designated the International Year Of Astronomy. It was to celebrate the 400 years of modern astronomy, since Galileo first looked through his telescope. 140 countries took part in the celebration and many of them issued astronomy stamps. This is not even a complete list of the astronomy stamps issued in Europe. Astronomy stamps are fascinating, with famous astronomers, events, planets, and stars depicted. 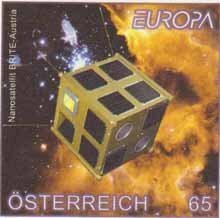 There is a great selection of astronomy stamps to collect from years other than 2009.